It's time for the part 2 of the Icecrown 5-player dungeon solo runs. Previously we tackled The Forge of Souls. Now we're heading through the next portal and into the Pit of Saron. How is this instance different from the Forge of Souls? Let's find out! If you enjoyed the loot from Forge of Souls, then you should be pleasantly surprised here! 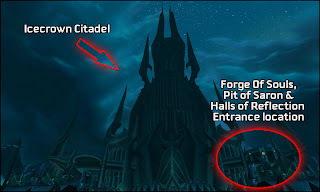 Pit of Saron has a lot more mobs than Forge of Souls has. This is great, because monsters in here too have a chance of dropping the Battered Hilt. (Heroic mode only) If you missed the last article, Battered Hilts are still extremely valuable. I have sold four of them since Cataclysm was released, all for more than 20k gold. I obtained them all from this instance too. If you'd like to obtain one or two Battered Hilts, it's an excellent idea to clear the instance fully, especially because monsters in heroic mode have slightly better loot and you can't reset the instance. Although mobs in normal mode won't drop Battered Hilts, they still drop a ton of Frostweave Cloth, gold coins and greenies. Level 80 greenies always disenchant into a lot of Infinite Dust or Greater Cosmic Essences. Frostweave Cloth is also scarce these days, as not many are farming stuff in Northrend. I usually list mine for 100-200 gold a stack and it sells every time if I purchase the less expensive cloth first. There's also one extra boss in this instance when compared to Forge of Souls, so it's one extra Abyss Crystal for an enchanter. You can tackle the bosses here even with quest greenies on, so there's no need for epics as long as you are level 85. Although if your gear is good, you can clean this instance of scourge a lot faster, increasing your gold per hour significantly. Also your class plays a big role when it comes to speed. Always use a DPS spec, except if your tanking spec has more AOE damage. It's safe to pull many groups at a time if you have decent gear and lots of AOE/dots. You will need heals though if you're making big pulls and lack kiting abilities. 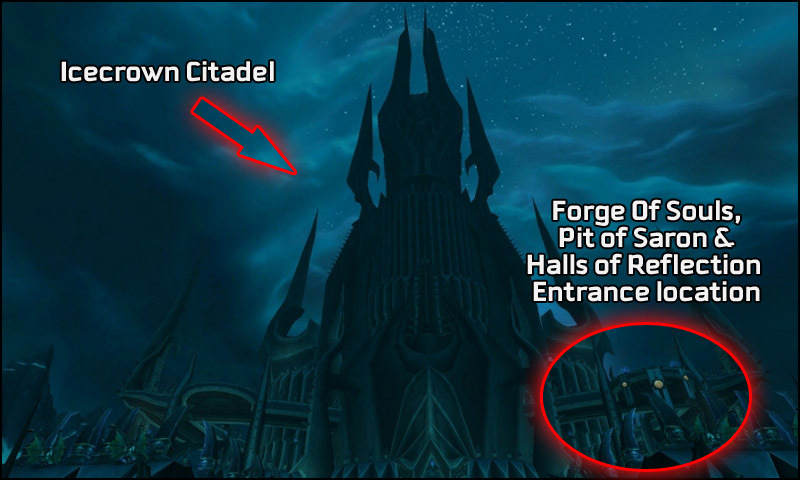 To enter Pit of Saron, you must have completed the quest inside Forge of Souls first. I have to admit I'm hopelessly torn at the moment between taking a DPS spec and a tank spec to do these instances. There is no loot hunter competition for Pit of Saron, but I'll qualify your screenshot for the current competition, which is the Vault of Archavon one - if you haven't participated there yet. Next competition starts tomorrow. yes apologies Kuja but i read in the Vaults post: Everytime a Loot Hunters post is made, you have a chance to win something cool.